In Texas, it is unlawful for any person to operate or be in actual physical control of any vehicle within this state while under the influence of alcohol and/or any drug. 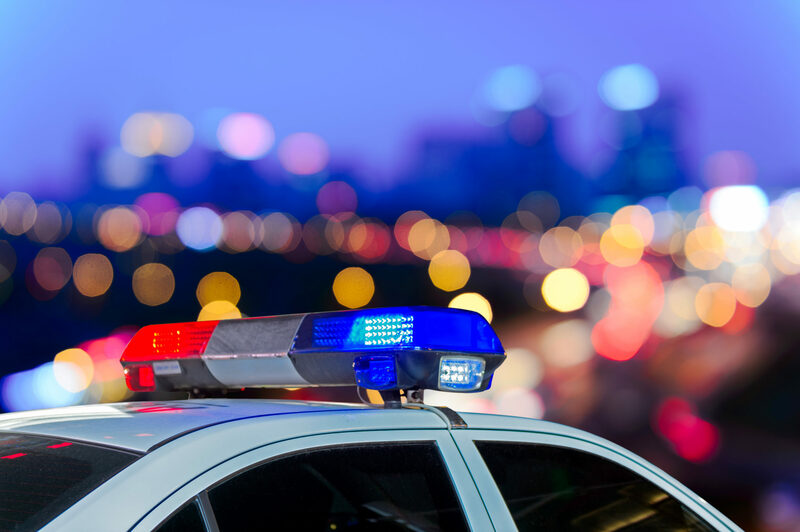 In order to arrest someone for a basic DWI violation, a law enforcement officer must have probable cause to believe that all elements of the offense are present. That is, the officer must believe that the person in question was operating or in actual physical control of a motor vehicle, in a public place, while intoxicated. To find that the defendant operated a motor vehicle the totality of the circumstance must demonstrate that he took action to affect the functioning of his vehicle, enabling his to use the vehicle. Public place means any place to which the public or a substantial group of the public has access. having an alcohol concentration of 0.08 or higher. The jury does not have to be unanimous on the manner and means of intoxication, only that the person was intoxicated. It is also important to note that intoxication must occur and be proven to occur while driving. In order to convict a person of DWI, it is necessary to establish that all four elements were present, and the facts must be established “beyond a reasonable doubt.” All persons are presumed to be innocent and no person may be convicted of an offense unless each element of the offense is proven beyond a reasonable doubt. The fact that he has been arrested, confined, or indicted for, or otherwise charged with, the offense gives rise to no inference of guilt at trial. The law does not require the defendant to prove his innocence or produce any evidence at all. The presumption of innocence alone is sufficient to acquit the defendant unless the jurors are satisfied beyond a reasonable doubt of the defendant’s guilt. The prosecution has the burden of proving the defendant guilty and it must do so by proving each and every element of the offense charged beyond a reasonable doubt. The State must allege that that what the defendant did was “operate a motor vehicle.” The Penal Code defines motor vehicle and there is no requirement that the State list the model and year of the vehicle the defendant drove. The State does not have to allege the manner and means by which the defendant exercised physical control of the vehicle. To find that the defendant operated a motor vehicle, the totality of the circumstances must demonstrate that he took action to affect the functioning of his vehicle, enabling him to use the vehicle. Starting the ignition and revving the accelerator is sufficient. The courts have not required the State t prove actual movement. For instance, the Dallas court of appeals held there was sufficient evidence of operating a motor vehicle when officers found the defendant asleep with the car engine running and his feet on the clutch and brake. A judge is not allowed to charge the jury that it should disregard the results of the breath test if it has reasonable doubt whether the instrument was in good working order. However, a defendant is entitled to an instruction on the issue of whether officers and operators complied with DPS regulations regarding breath testing. The judge is not required to give an instruction on alcohol concentration as it relates to blood or urine when the evidence shows only that a breath test was given. An instruction that defines intoxication in terms of presence of alcohol in the defendant’s body, rather than his breath, blood, or urine is proper. Often in DWI trials, the validity of the traffic stop is questioned before the jury. When such a factual issue is raised before the jury, CCP article 38.23 mandates submission of an exclusionary rule instruction. The focus of this factual dispute must be on how evidence was obtained. Specifically, whether any evidence, from any source, questions the legality of the officer’s authority to stop or arrest the defendant. Temporary stops occur for innumerable reasons that include reasonable suspicion of DWI itself and reasonable suspicion of various traffic code violations. A defendant is entitled to a jury instruction on another causation factor only when he denies using alcohol, and can explain his suspect action. A charge that singles out limited parts of the evidence may constitute an improper comment by the judge on the weight of the evidence. A defendant is not entitled to a jury instruction on an alternative cause, like fatigue, that merely negates the existence of an element of the state’s case. If the evidence shows that the defendant became intoxicated form less alcohol than might ordinarily make a person intoxicated because of other substances in his body, the court can give the jury a charge, known as a synergistic charge, on this effect. A charge that includes this principle does not create a new crime nor require a different culpable mental state. The state is entitled to a synergistic charge not eh effect of intoxication from alcohol and drugs when drug use evidence comes out at trial, even if it is not alleged in the indictment. A synergistic charge is not appropriate when fatigue is the aggravating actor. A synergistic charge also may not be used for a theory of intoxication that was not alleged. The DWI statute also requires that the defendant commit the offense in a public place. Alleging the offense occurred in a public place will be sufficient, the prosecutor need not allege the specific city or street where the offense occurred. Courts have ruled that parks are considered a public place, regardless of whether the park was closed. The state must allege that the defendant was intoxicated. Under previous case law, the prosecutor had to allege which definition of intoxication applied. There is no longer any need to specify in the charging instrument whether the State intends to prove the loss of normal use of faculties or driving with a blood alcohol level of .08 or above. The word intoxicated applies to all the alternatives listed in 49.01(2)(a)(b).